The state of Florida has a long tradition of strange criminal cases, and this is no exception. A local woman named Shelly Reynolds got into an argument with her ex-boyfriend, and things escalated pretty quickly. Reynolds slapped the man several times before throwing a bag of garbage at him. But she didn’t stop there. 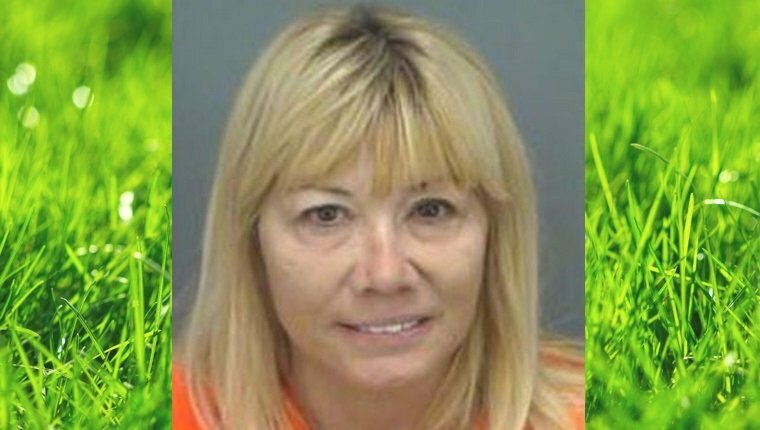 Next Reynolds ordered her Pit Bull to attack, and the dog ended up biting the man on the face and hand, causing injuries to his lips and nose. She then told her roommates that they “better corroborate my story” before police arrived on the scene. Reynolds was arrested and charged with felony battery, aggravated battery with a deadly weapon, tampering with a witness, and resisting an officer. Maybe some jail time will cool her off. No word on what will happen to the dog, but I think we all hope that he goes to a different home that won’t force him to be violent. This woman is clearly not capable of handling other human beings in a healthy way, let alone a dog. What do you think should happen to this woman? Do you think her dog should be taken away? Let us know in the comments below!